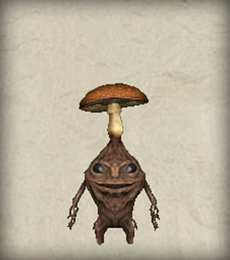 A Mandragora that has a growing infected mushroom. The brown mushroom cap is soft and juicy. The mushrooms are beginning to be sold in shops. They are easily grown with sufficient moisture and growth agents, and very juicy and tasty when baked or sautéed.